Taking the lead from Tony at Off-Hiatus Baseball Cards this will be the twenty-seventh of 30 posts, using the prompts provided. I won't necessarily post one every day, but I will do one for each card, toss in a few "insights" (as insightful as I can be, anyway), and usually include an honorable mention or two, just because I'm like that. Here's my pick - The Minnesota Crime Prevention Association has a set that they release each year. 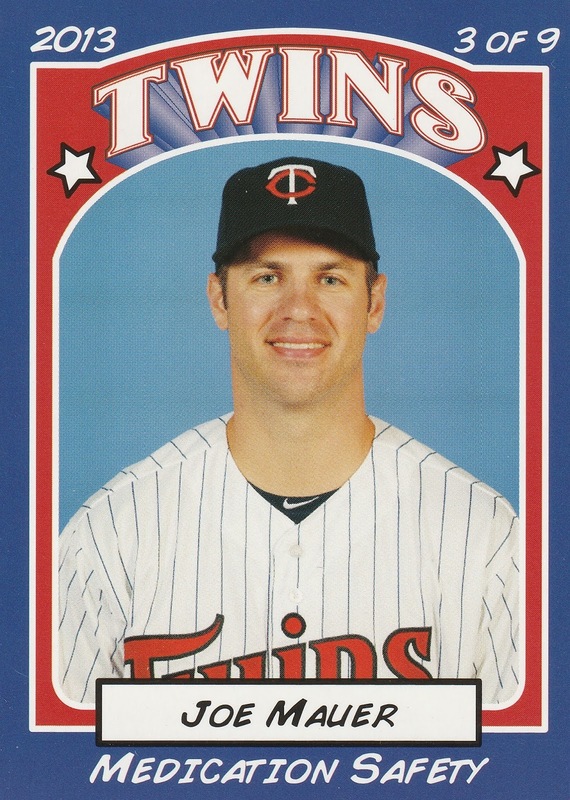 In 2013, they decided to rip off the 1972 Topps design, and I think they did a very nice job of it! The set has varied in size over the years, but they always have a different tip on each card for kids to avoid a life of crime. There apparently wasn't a card about intellectual property / copyright in this year's set. 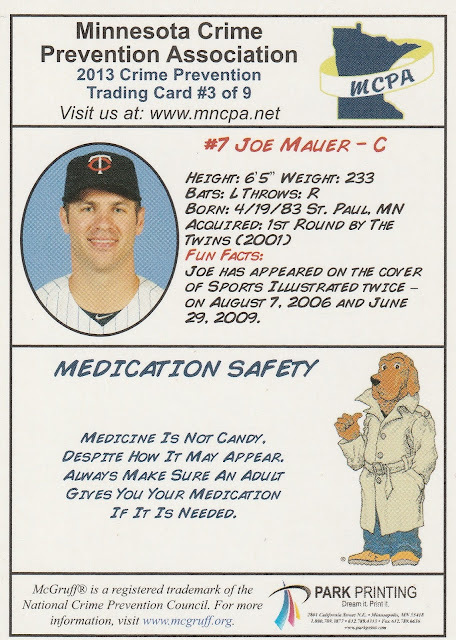 There was a certain wry humor in having Mauer associated with medication safety, as this was the season that altered his career forever when he suffered a concussion that ended his catching career. Since these are basically one card posts, why not share the backs? Fun Facts! Medication is not candy! 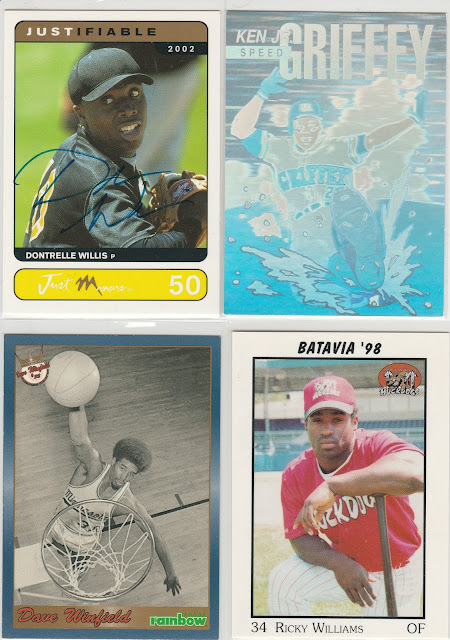 I'm a big fan of holograms, the minor leagues, and multi-sport athletes. These four cards fill in all those requirements. Love the Winfield!.. haven't seen that one before. Non baseball Baseball cards- For Trade! Saturday is Card Show Day!